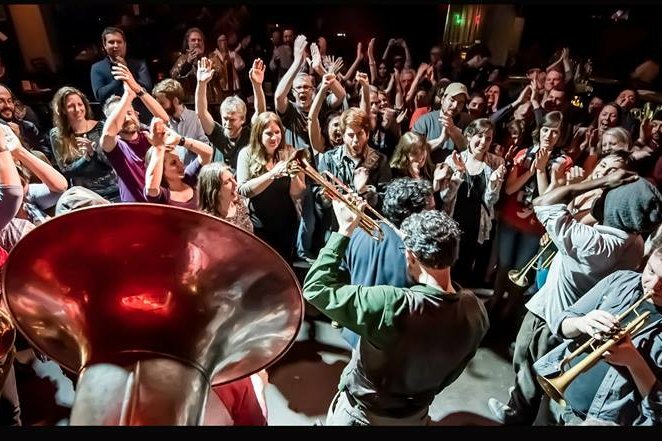 West Philadelphia Orchestra is transforming their weekly Balkan Dance Party at Franky Bradley’s into a special Mardi Gras concert this February. The West Philadelphia Orchestra will change up their weekly routine at Franky Bradley's to celebrate Mardi Gras on Tuesday, Feb. 13. The band will perform songs that will make the audience feel like they are partying in New Orleans for Fat Tuesday. So, no need to book a last minute plane ticket to experience the spirit of Mardi Gras. You can get a taste of the holiday in Philly, by dancing the night away in purple, green and gold gear. The party will start at 9 p.m. in the upstairs of the bar. The cover will be $7.